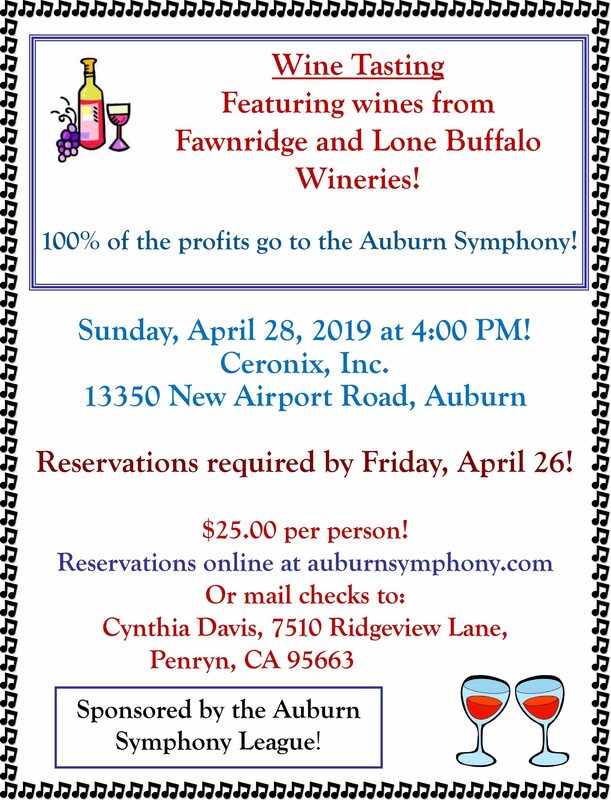 The Auburn Symphony League assists and supports the Auburn Symphony Association in fundraising, social events, and general operational activities. The League is a diverse group of community volunteers dedicated to promoting classical music in the Auburn area. We invite you to join us in our endeavors to keep this fine orchestra part of the Auburn cultural scene. Membership is open to all individuals who support the goals of the League. Members are asked to volunteer and participate in the activities of at least one committee during the year and to support the League’s projects. Membership dues are $20 annually for Active members, or you can choose to become a Sustaining Member for $50.